When I went to ASU back in the day, there was mostly fast food on campus. It’s nice to see some delicious eats coming to campus. Yelp gave us Elites a chance to dine at one of The Crepe Club’s locations. 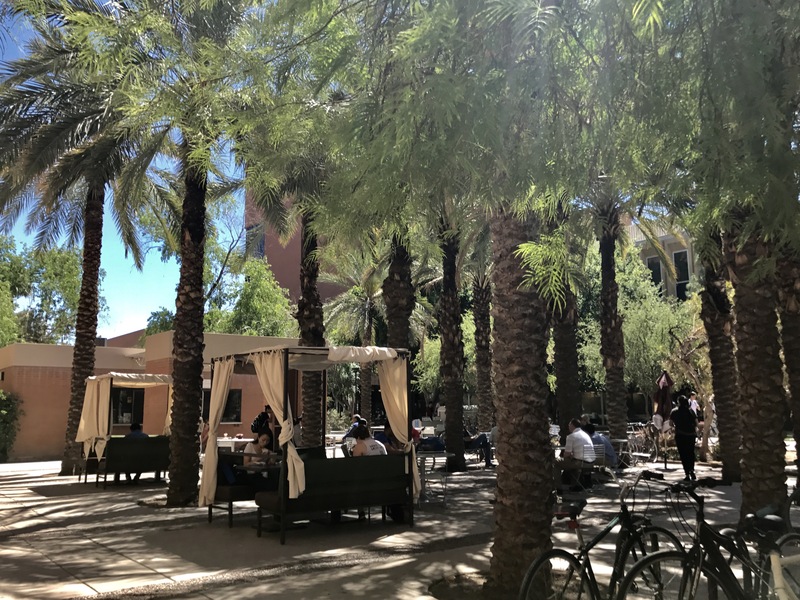 I love the story of this place about three brothers coming from Syria to attend ASU. 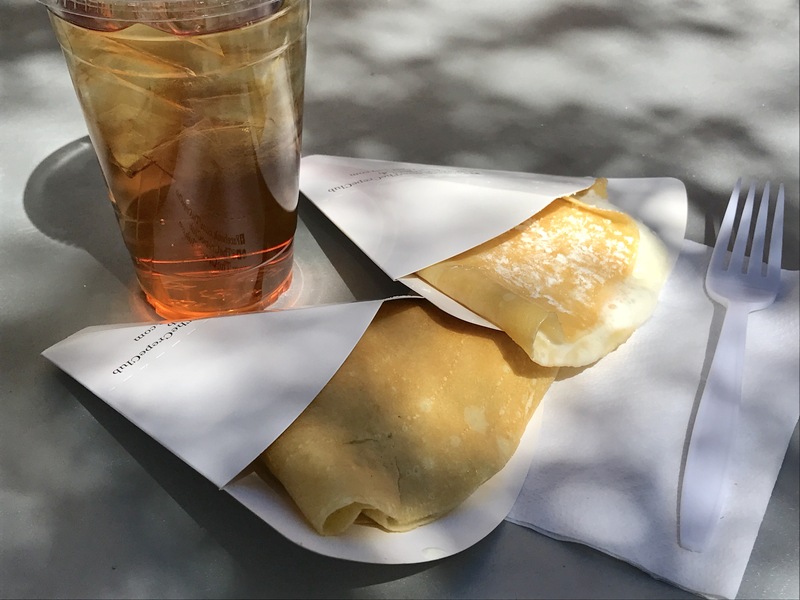 They got their degrees and then started up a crepe cart on campus. It became so popular that they opened their own restaurant at the Biltmore. Recently they opened up this permanent location right next to Old Main on ASU campus. I got two mini crepes so I could try both a sweet and savory one. The creme de lemon was nice and warm and I enjoyed the delicious lemon aftertaste. 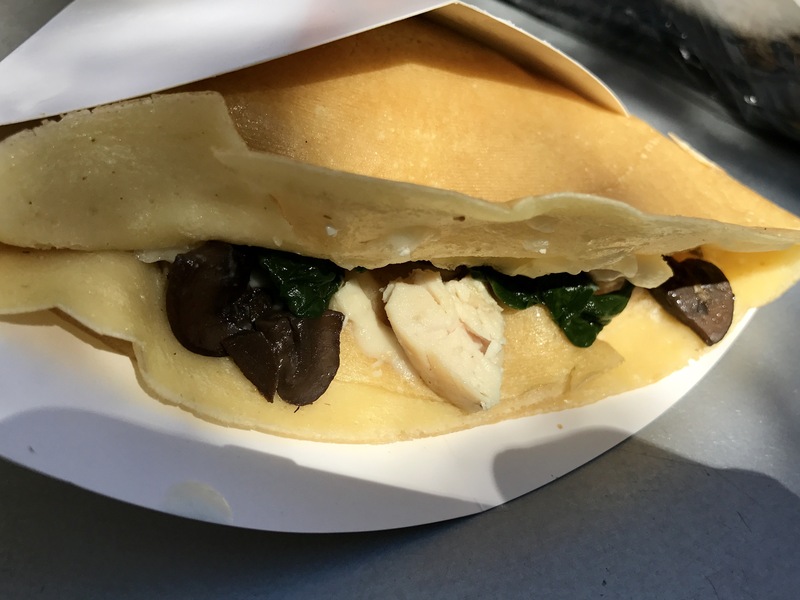 The chicken florentine is packed with flavor – grilled chicken, sautéed mushrooms, spinach and mozzarella cheese. Super good! This location has a walk up window with an outdoor patio area with tables and shading. I got a nice visit from Maria the operations manager who offered me a yummy macaroon. 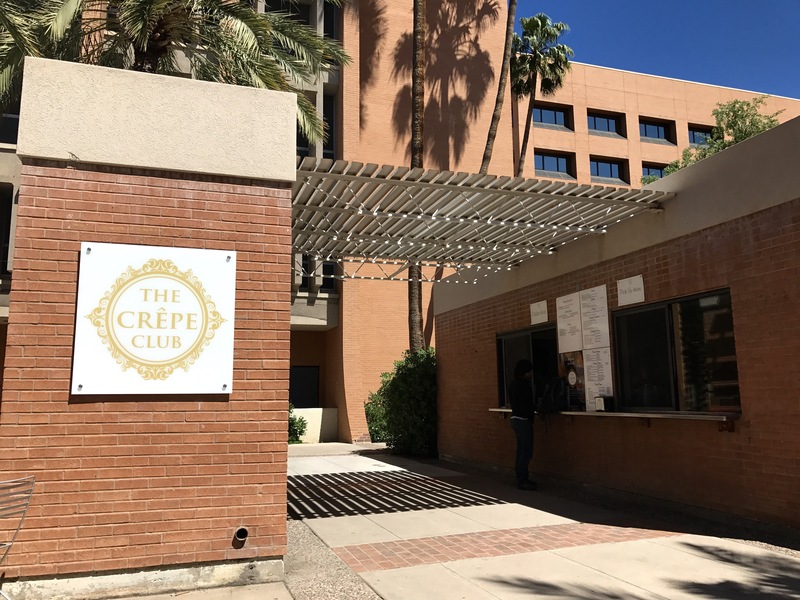 The Crepe Club is a nice addition to my old digs.